The floating rate gets some way towards that position, and is based on the same idea. Ultimately you can only export to a currency area if there is a matching offsetting import, or you are prepared to save financially in the foreign currency. Otherwise the financing arm of the transaction will not be in place and the whole transaction will never happen. I can see some merit in restricting foreign use of those savings to the purchase of export goods and services only, but how would you enforce it? If a country closed itself to imports from outside — or to some imports, or whatever — they could then negotiate with companies to undertake limited imports based on conditions. The companies would face either getting “stuff” from the country in question or not being able to sell their goods at all. Unless the country produced useless garbage it would probably be in their interest to take the stuff. Offer them something more attractive, like oil? This is some excellent historical research you’ve done here. When a bank presented a Mefo bill at the Reichsmark, did the Reichsmark create new money to add to the bank reserves, so that this whole process was a sly way of monetizing the German government budget deficit? Now I have also assumed that this was how it worked, but it would be nice to have some direct evidence. I also think some of the Scandinavian countries were able to achieve some degree of fiscal stimulus by the unusual method of increasing government spending and taxing the rich whose money was not being spent on consumption/investment, but they never seem to have been able to restore full employment. Thanks LK, I always wanted to look into this but I never knew where to turn. Who would have thought the Nuremberg Trial records would contain such economic detail? The “mefo” bill system continued to be used until 1 April 1938, when 12 billion Reichsmarks of “mefo” bills were outstanding (EC-436). This method of financing enabled the Reich to obtain credit from the Reichsbank which, under existing statutes, it could not directly have obtained. Direct lending to the Government by the Reichsbank had been limited by statute to 100 million Reichsmarks (Reichsgesetzblatt, 1924, II, p. 241). Schacht has conceded that his “mefo” bill device “enabled the Reichsbank to lend by a subterfuge to the Government what it normally or legally could not do” (3728-PS). 12bn Reichsmark seems like a very large number. And remember, these were 6 month issues sometimes extended out by three months. So, how many had expired in the meantime? Over the course of 5 years… maybe 90-120bn RM worth? All of these would have had to be paid off which was done by the Reichsbank. If we take an intermediary number, say 100bn RM, then we’re talking about maybe 10% of German GDP worth of money being issued through the Mefo system by the time it expired. I cannot see where else they would have come from except that the Reichsbank was creating money in order to rediscount and ultimately pay off the Mefo Bills. Actually, on second thought those estimates are probably far too conservative. 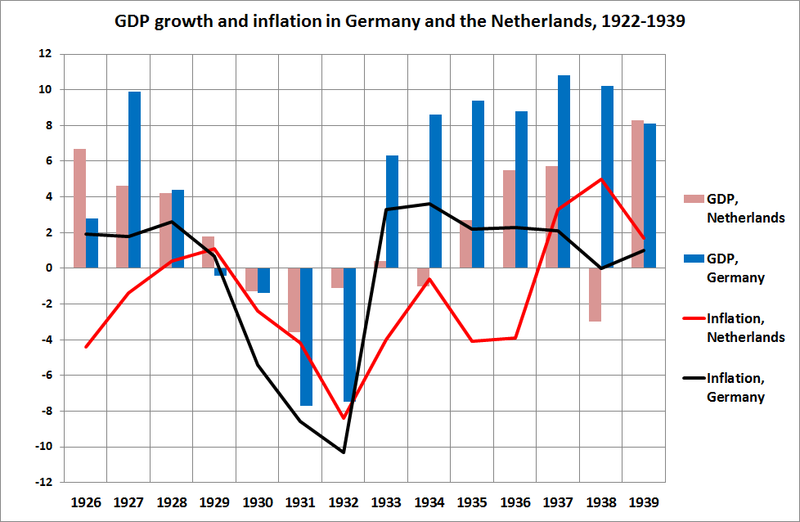 In order to account for German GDP growth of the magnitude we saw in the period 1933-1938 (which was accompanied by significant trade deficits) we would probably have to assume spending by the government through the Mefo system of about 20% of GDP a year. So, the likely amount of money created by the Mefo system probably ended up being about 100% of GDP by 1938. Why then were there so few Mefo Bills left outstanding in 1938? I don’t know. Perhaps knowing that the program was going to be wound down creditors stopped accepting them a year beforehand or so and consequently most of them expired and were paid off. It’s hard to say really. But that 12bn figure simply cannot be representative. That is fascinating data. Thanks for the reply. Why was the growth so low, if so many Mefo were being discounted and turned into reserves in the banking system? (2) Also, there was yet another bill used by the Germany government in these years: the Öffa bills . “From 1935 to 1938 they were used exclusively to finance rearmament and amounted to a total of twelve billion marks. In explaining them once to Hitler, Count Schwerin von Krosigk, the harassed Minister of Finance, remarked that they were merely a way of “printing money”. (1) Someone’s figures are wrong then. According to Maddison German GDP in 1936 was around $250bn (I’m quoting from memory). If we take the late-1920s exchange rate of 4RM:1USD that means that it was about 1trn RM. If those money supply figures were correct then the money supply would have been about 1.8% of GDP. That would have made the money velocity about 50! That means that a coin, note or deposit would have turned over 50 times in a year! That sounds highly unlikely to me outside of a hyperinflation. The typical money velocity is somewhere between about 1.5 and 2.2. Either the money supply figures are wrong or the GDP figures are wrong. I trust the GDP figures more. (2) Yes, I think these were experimental and not too important. (3) I would not be surprised at all. But they still fell due after 6-9 months. So they couldn’t have circulated for long. (4) I think this is a fact, not speculation, although the operations cannot be shown in balance sheet form. I would ask Jim Sturgeon at UMKC to see if he has any ideas on this conundrum, every year in his Institutional economics he always brings up the nazis and how they financed rearmament, which is why I think he may know of some sources for one to read. “China” holds tremendous amounts of foreign reserves, of course. I have always assumed that Chinese businesses aren’t interested in holding dollars, so banks convert those dollars to renminbi while the Chinese govt. accommodates this by trading new renminbi for dollars and just sitting on those dollars. But this would require Chinese deficit spending in about the same amount as they run in trade surpluses. So, who is actually holding American dollars/bonds? Govt., banks, or businesses? I don’t know if you’ve already read it, but this is a PDF of the English version of Schact’s book, ‘The Magic of Money’, written in the 60s. It’s quite interesting. Great stuff. Thank you. On my reading list! It is beyond doubt that Schacht was a genius. 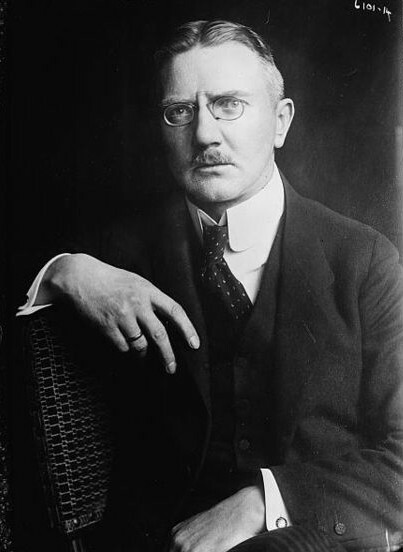 However, I am currently reading “The wages of destruction”, by Adam Tooze (so far, a brilliant book), and he says that the origin of the idea, and the first implementation, of the Mefo’s plan was not Schacht, but the previous government, led by Schleicher, implemented in December 1932. That government lasted one more month, and was the last one before Hitler. Page 43-44 of that book, there is the reference. I want to add a couple of things on my short message. I think Schacht was a genius, but also an evil person. He supported Hitler as early as 1931, a nationalist on his own. He was accused of participating in the 1944 assassination attempt by von Stauffenberg, though that’s uncertain. He was saved from the Nurenberg trials by his long time friend Montagu Norman. The book by Tooze gives a more, mmmmm, nuanced view of the domestic work creation program implemented by the Nazis. It’s a great reading, so far. Can we imagine that “accepted” but not discounted, not redeemed mefo notes were used as currency amongst industrial concerns? This would provide purchasing power without creation of deposits, so recorded money supply figures, based on bank deposits, would not include these? This becomes a complementary type of currency. It would be interesting to know if there are any parallels with todays loose monetary policy and the clearing system of the Eurozone. Hi Philip, once again a very interesting post. I may have a lot more to say on the subject but, for the moment, just very briefly, on the question of just how many Mefo bills were ever issued, I think this paper http://personal.lse.ac.uk/ritschl/pdf_files/ritschl_dec2000.pdf has details. Economic recovery in Germany in the 1930s remains the paradox case of public demand expansion without Keynesian demand creation. That would be consistent with the “balanced budget multiplier” which is well-known in Keynesian economics. It does appear that economic growth was not facilitated by budget deficits per se, however. If I get the time I’ll write a critical review of this paper. Phil, in order to completely understand your comment, “. One of the restrictions on Germany was that the government was only allowed to borrow 100m Reichsmark from the Reichsbank (the German central bank at the time). With such a budget limit in place Germany could not obtain the funds needed to rearm.”, It is necessary to explain how the currency system differed from the one we use today, which is a fiat system with a flexible exchange rate. By the way, Goering had brains. We would now probably say that he was in it for the money, as it were, rather than a “true believer”. He protected his anti-Nazi brother and stole a lot of art. So did Heydrich. It is best not to underestimate the enemy. I meant only to contend the Heydrich had brains. He seems to have been a true believer. A Sovereign Debt Perspective”, Centre for Economic Performance, July 2012, where, as I remember it, he supports Mantoux’s argument, in his A Carthaginian Peace or the Economic Consequences of Mr Keynes (1946), that the Germans deliberately engineered the Weimar hyperinflation expressly in order to avoid paying reparations, especially to the French. Nazis introduced price- and salary-caps in 1936. together with ability to disown and throw “traitors” in concentration camps, of course it’s much easier to control inflation. but most germans could accept these measures in return for booming economy during peacetime. national banks especially the privately owned versions, ie the fed and the like. The main difference with germany was, no interest was collected on the created funds! the rest is not relly that important. I seem to have to correct my typing errors and add some more facts. According to Rakowski, Hitler was not aware, that he infringed on a scheme, others had reserved for themselves only, ie the creating of money by ledger-entry! But Rakowski did not necessarily read Gottfried Feder, he may not have known about him. For the critical historian, Hitler was very well aware of what he did. This was the very important question, including the fact, with whom the war was to be fought. For those inclined, the message was clear enough. as a final comment: as one reads the various entries here, one is at times rather surprised. if someone knows the truth and calls it a lie, he is a criminal. We may all deduct, as we please.